Now you sea me, now you don't. 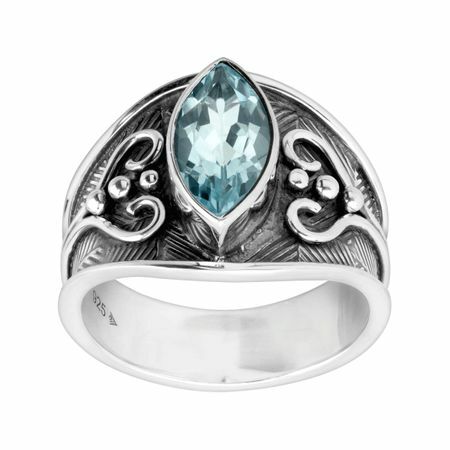 A marquise-cut natural blue topaz is set among a sterling silver filigree on this wide-face ring. Ring face measures 9/16 inches in width.